We use a paper shredder to completely destroy paper which has important, and classified information. 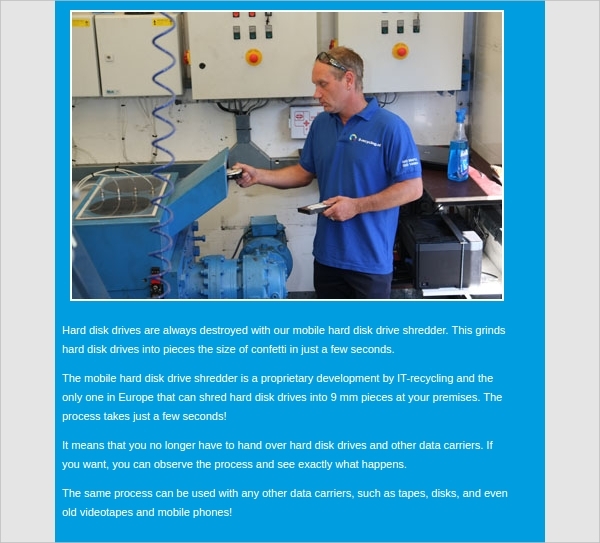 We need to do the same for hard disks as just deleting the important files is not enough. The files can be easily recovered. The Disk Shredder Software ensures that the files and the data are irrecoverable. We will evaluate the 6+ Best Disk Shredder software available today. The disk wipe software is available for download and use either free or at a cost. 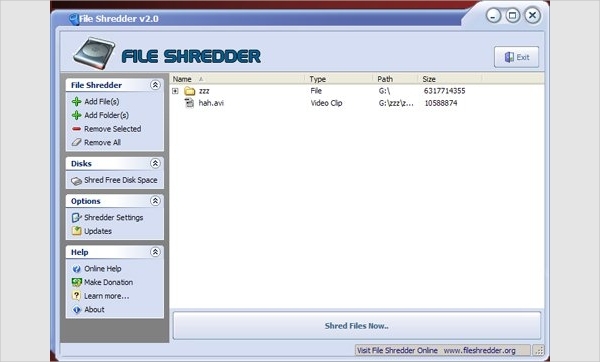 File Shredder is a free desktop software for shredding the files completely. The file shredder has a nice and easy to use graphical interface to shred the files. 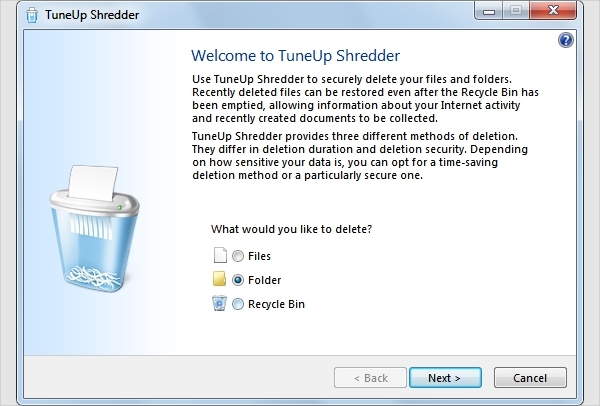 You can choose any of the 5 algorithms for shredding files. It also has a utility to shred the free disk space. The software from Abylonsoft deletes the files which are left by the browser as you browse the internet. The files are not deleted by the operating system and hence makes it easy to find your digital footprint. It overwrites the data a lot of times to make it unreadable. This is a service provided by it recycling. They will come to your premise and then completely shred the hard disk physically if you do not need it. They have a software which will shred the hard disk and give it back to you. It is a freeware and can be easily downloaded. It has a very simple graphical interface to delete files and folders. It can use multiple methods like fast(1 pass), DOD 5220.22-M(3 Passes) and others which are up to 35 Passes. Disk Shredder is mainly available on the Windows operating system as the files are not properly deleted on that OS. It just removes the first character and marks the file as deleted. It is easy to recover the files until it is not overwritten. We will look at the software available on Windows. The software is available on Android platform which we will review here. The software is available from the leading security software provider AVG. It wipes out sensitive data on Windows safely and completely. It has three algorithms available for deletion. It protects user privacy and sensitive data. Andro shredder runs on the Android platform. It removes deleted files permanently so that the files cannot be recovered by any recovery software. It can delete the deleted SMS data from the database without impacting the available SMS. 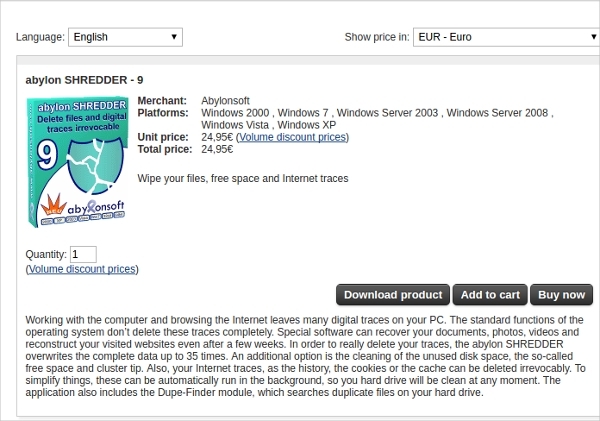 How To Install Disk Shredder Software? Disk Shredder has a very easy installation process. We need to download the software into our hard disk. We then extract the files into a working folder and run the setup or install program. The software gets installed in a jiffy as it is lite weight. You can then check whether the software is available in the Program Files Option and run it to see whether the application starts. Once the application starts and you see the first screen you have installed the software successfully. We have reviewed more than 6+ disk shredder software available. If you want to permanently delete confidential information then you can use any of the software mentioned above. You can wipe out your disk if you plan to sell the computer or the hard disk. The software is of very high standards and is compliant with government standards needed for the removal of data.